One of the best ways to get to Edale is on the famous Folk Train service, which runs regularly from Manchester and Sheffield. If you've never experienced the folk train, this is a must! More details on train times to be updated shortly. 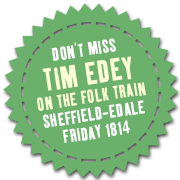 Tim Edey will be performing on the Friday 1814 Train from Sheffield. 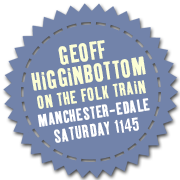 Geoff Higginbottom will be performing on the Saturday 1145 from Manchester Piccadilly.